two performers sit. thousands of lives intersect. 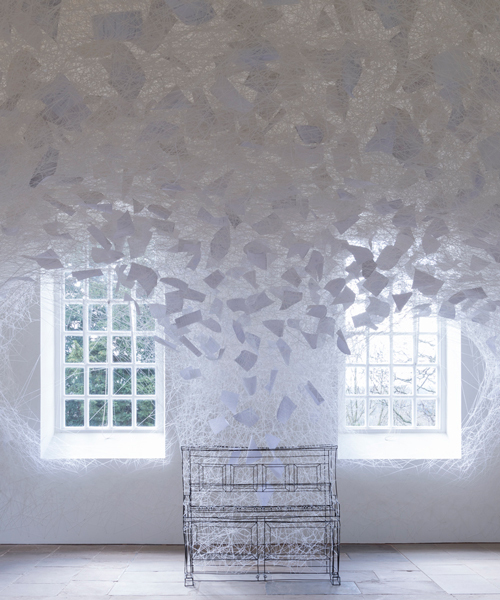 an ethereal composition by chiharu shiota weaves its way through the chapel building. 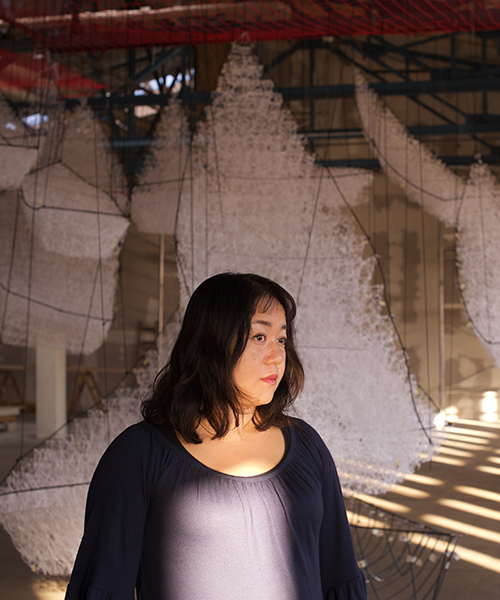 designboom speaks to chiharu shiota about her unique woven installations and the quiet poignancy of everyday objects. 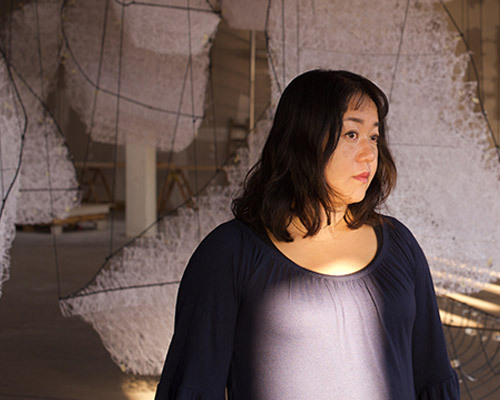 'infinity lines' expands on shiota's broader practice and explores the interconnectivity between possessions and the narratives they hold. 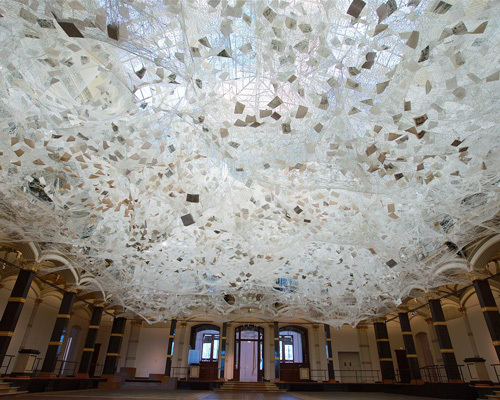 inside the historic department store in paris, the japanese artist has hung 150 sculptural boats from the ceiling, 'sailing' across the space. 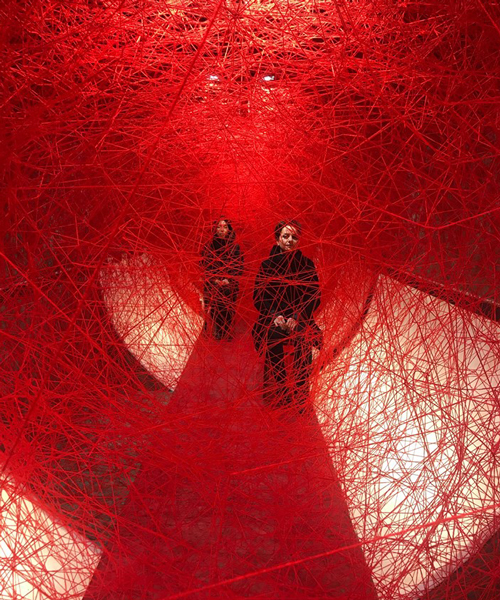 as part of 'gucci 4 rooms', the artist has transformed a space in the luxury brand's ginza store into a panoramic expanse filled with a network of red threads. 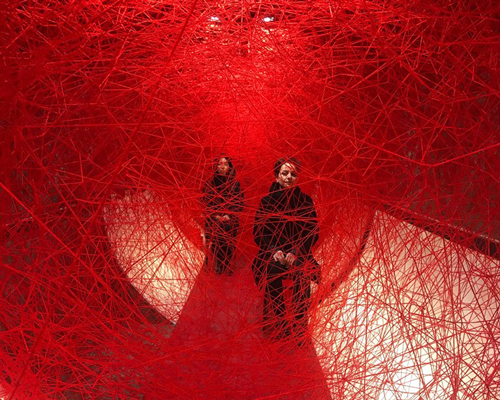 the blood red color of the yarn is laden with symbolism, alluding to the interior of the body. 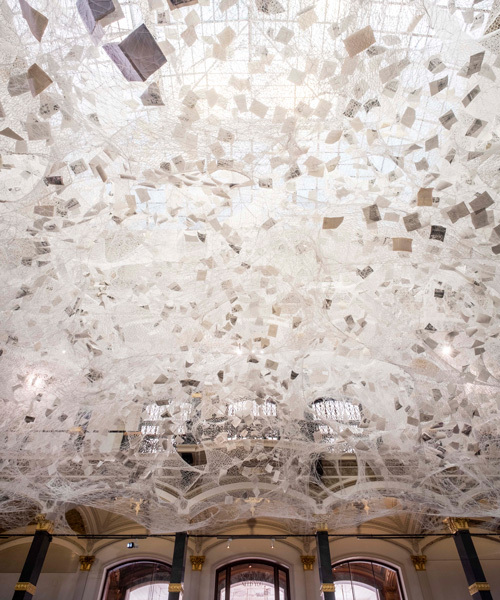 at the venice art biennale 2015, a web of thread turns the japan pavilion's roof into a complex and elaborate maze of materials for viewers to traverse beneath. using seemingly infinite amounts of black thread, the walls, halls, and floor are completely wrapped in an intricate labyrinth of material composing a savage net of interwoven twine. the abandoned piano concert has been wrapped in a complex network of interwoven black thread. 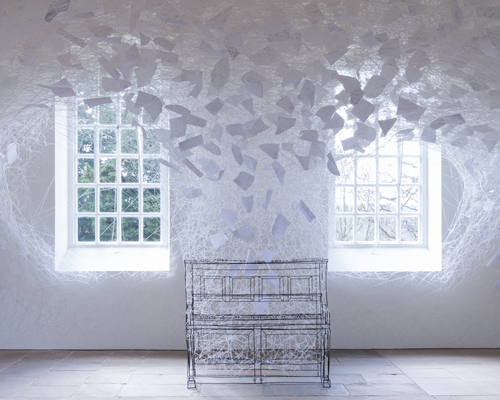 the artwork is defined by a network of black yarn swallowing common, recognizable objects such as a piano, mirror or a bride's wedding dress. stairs are enveloped by an intricate black yarn web in the artist's new sculptural installation.